If you want to build better brand love with your internal, and external, VIPs then this guide will help. What is a corporate communications strategy? The workplace is changing and we have technology, social media and changing employee attitudes (check out what motivates millennials in the workplace as one example) to thank. Whereas before a communications strategy required getting those all-important customers to be as happy as possible, the modern day corporate communication strategy focuses just as much on internal strategies as external ones. Ensuring that employees (the new customers) are as happy as the people the company is serving. Add to this your pool of stakeholders, investors and industry partners and you can be forgiven for feeling fatigued when it comes to nailing down what your corporate communication strategy should look like. So what do you need? A plan of action. Breaking great corporate communication strategies down into the questions you've always wanted to ask (but perhaps have been to afraid to) and six steps that will take you towards better corporate communications. Goals and aims, how does the company want to be perceived by its customers, employees and investors and what steps will it need to take to get there? Whether you have a corporate communication plan in place, or you're starting from scratch, use these six steps to get you started. Great, regular communications build trust and help to extend your position as an industry thought leader and one that should be looked to as a "best practice" example. Targeting a new industry can be daunting for both your employees and your stakeholders. Regularly communicating the plan of action and how it's being executed helps you to target new industries and gets everyone heading in the same direction. Job websites such as Glassdoor now allow past and present employees to review a company, and this is one of the factors potential employees could be checking. A communications strategy helps you towards a goal of improving existing and potential employee branding. Good communications can help strengthen partnerships you have with investors or stakeholders, as well as industry bodies or industry press. These types of relationships don't happen by accident, so they're worth building into your strategy. Defining which of these audiences are important to you will help to define your communications plan and the areas you need to prioritize. You could also try numbering the audiences in order of importance and mark where you think you're ranking in terms of communicating to them effectively today. This will help you to prioritize different communication strategies and when these will be put into action. 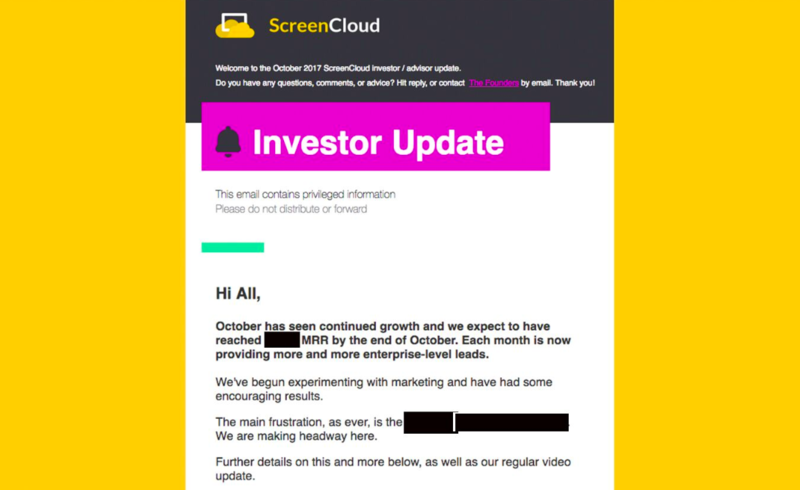 At ScreenCloud one part of our communications plan is a monthly investor update. 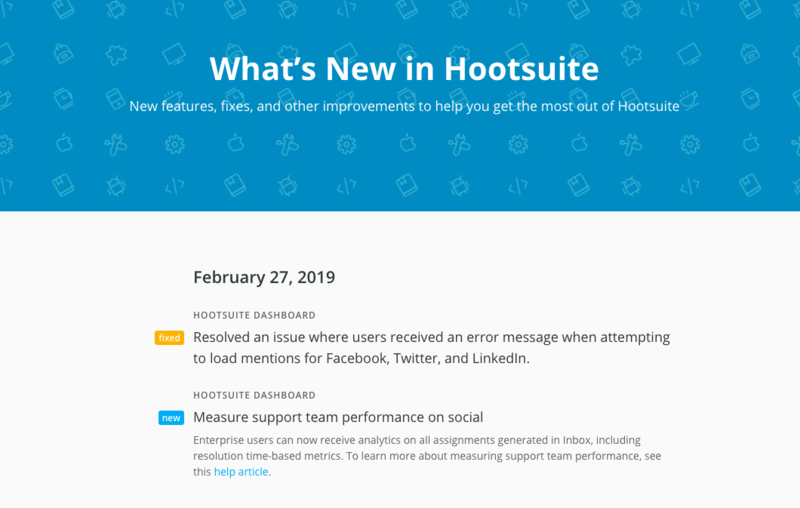 This is an email newsletter that goes out every month and updates our key stakeholders on the important areas, like our metrics or any big product updates. This is a great (and fairly easy) way to ensure that each month, you're communicating well with the people who have a vested interest in your business. We shared an example of one of our Investor Update emails which you can access here for inspiration. One of our favorite corporate communication tools is of course, using ScreenCloud to power digital signage screens within your organization. One example of a company using this strategy is Granger Waste Services. With four different locations, Granger needed a way to provide communication to staff, without sending them more emails. 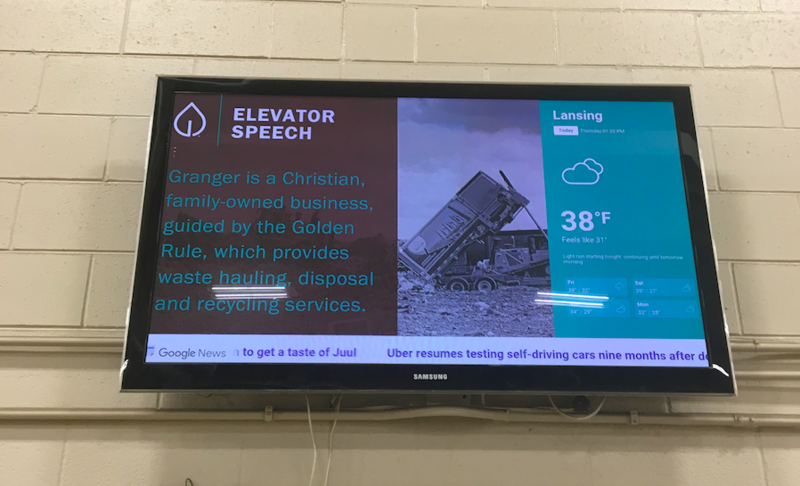 They deployed screens throughout each main campus, and remote location, using them to share information like training videos, customer announcements and staff news. Check out this guide for more examples of companies using digital signage for internal communication. Once you've determined your ideas, create a plan (this can be as simple as a spreadsheet) with the type of communication you'll be sending, who will manage it and how often it will go out. If you're looking for some creative ways of communicating news or employee updates, check out this guide. Employees are increasingly considered as the mouthpieces of an organization. According to the Edelman Trust Barometer, consumers are listening less to CEOs and more to people that they view as similar to them. This is just one of the reasons why communicating well, and regularly, to employees is important. Good internal communication also helps to make employees feel more valued, in the know and aligned with company goals. It's pretty expensive to replace a member of staff, so strategizing for retaining staff over replacing them, is a smart idea. Checkout this guide for 14 internal communication strategies you could use. All of your hardwork in creating a more effective corporate communication strategy can't be realized until you've measured what works. Put in timelines for taking stock of what's working, and measure this against your baseline. Has your employee net promoter score improved? Are you retaining more customers? Do your partners report that they love your newsletter, or that they feel more "in the know"? Data and the response from key audiences can be used to back up why your strategy has been successful, or the areas you need to tweak. We hope this guide has planted the seed for you to grow better corporate communications within your business. If you like the idea of using digital screens for one, or all, of your audiences, we have a free trial ready and waiting for you on the following link: https://screencloud.com/getstarted.